Have you noticed how thin the Yellow Pages has become? I was shocked to see just how sparse it now is, each year it gets thinner and thinner... I wonder, how much longer will it be cost effective to print? It's reported that today 80% of the goods and services we buy are within a fifteen mile radius of our homes and we prefer to use the internet, to search for these local services. In a recent Cisco survey, the number of smartphones and tablets in use by the end of 2013 globally, will out-number humans. According to eMarketer it already has in the UK, with an estimated 83million device connections. If you combine the growing number of GPS enabled devices being used to search the internet, our local buying behaviour and our tendency in the UK to use Google more than any other search engine (around 70%), the end result highlights the growing importance of Google+ Local directory pages. Almost since the dawn of the internet, online service directories have been available. Yell is the Yellow Pages online alternative, there are many others from our old friends Thompson Local and BT, as well as hundreds and thousands of online only options. With so many to choose from, how do you choose? Do you go for the free listing or an advertisement? Statistics show that the majority of our online searches include a geographic search term, for example ‘hairdresser Huddersfield’, ‘builder Honley’ etc. When you do a place specific search for a service, the first set of results you now see with Google is their +Local results; a map and a directory of businesses that offer that service. The clever bit is that when you do a search from a GPS enabled device, you don’t even need to type the town or city, in most cases Google will show you the + Local results as they already know roughly where you are. With more people using devices than ever it makes sense for all businesses to have a Google+ Local presence, it’s free and is by far the quickest way to see your business on the first page of Google. Setting up is easy and you get some great statistics that show you how the page is working, how many visits you get and what they searched for to find you. Google+ Local is huge competition for the Yellow Pages and the others; I think the future continues to look uncertain for the local advertising stalwarts. 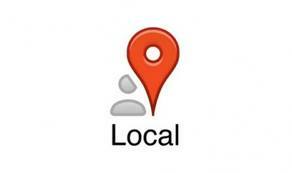 How do you find local services? Online or through other offline directories let us know in the comments below. Otter Drysuits - SEO competition winners! How effective can LinkedIn be for business?